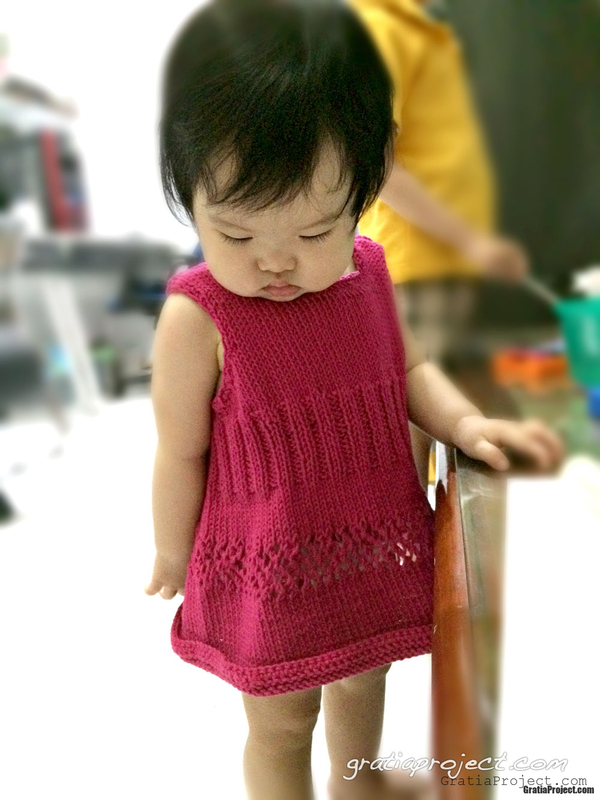 Last week I finished this knitted dress for my 1 year old toddler. 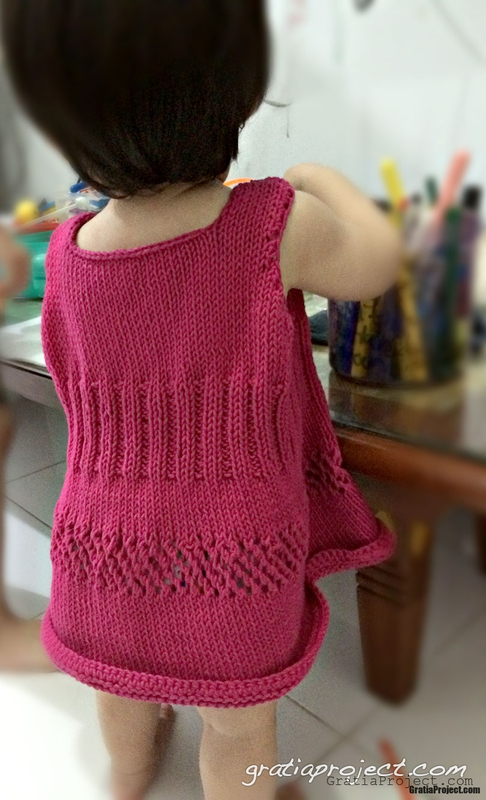 It looks pretty good, so I’m going to share my pattern here. 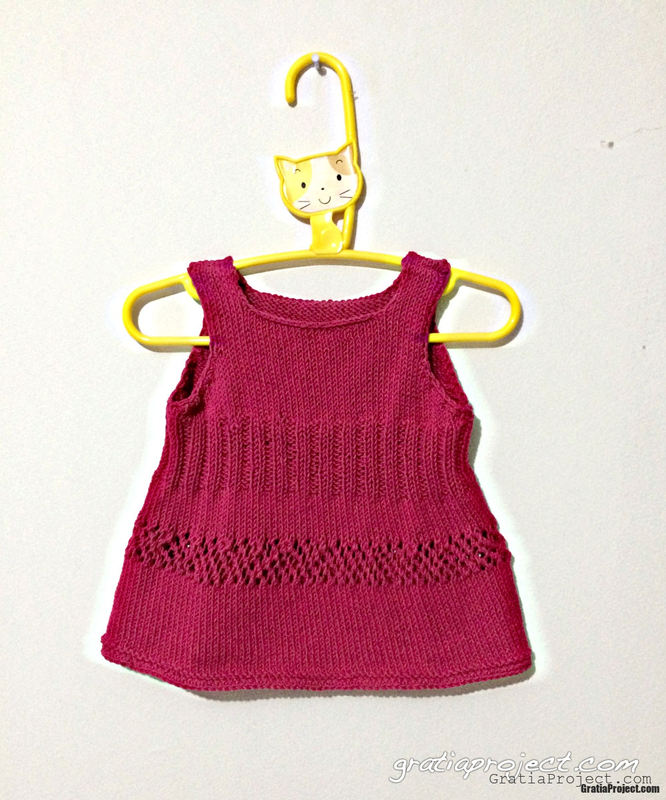 Please forgive me if I made mistake with the pattern. You can share your opinion in the comment section. Pattern is working from bottom to top, join in the round from the bottom until ribbed section, and then working in flat for the top area, started from the front and then the back part. Join new yarn to the other side. Repeat step 24-32. 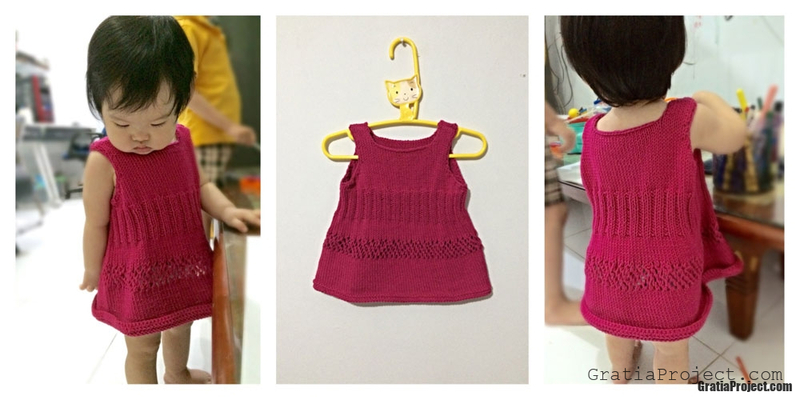 Using crochet hook, add the single crochet to the arm opening and bottom part of the dress.